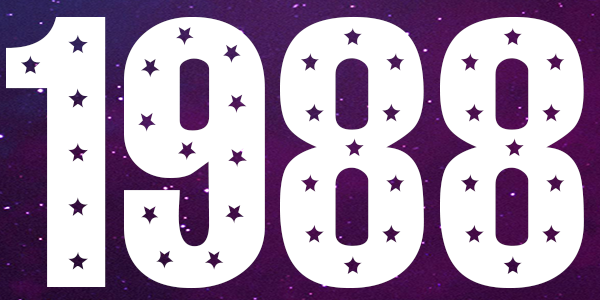 Burtonesque Events is pleased to announce our Call for Entries for "1988" to be held on Saturday December 1st, 2018 from 7-11pm at Hardy & Nance Studios. This call for entries is open to all artists local, domestic, and international, working in any 2D & 3D media. THEME: ALL art MUST must represent the theme. Though the style of the show is conducive to pop culture references, your work cannot copy any existing art work. We are looking for work that brings your unique perspective to this theme. Artists must submit images* and information for up to four (4) pieces no later than November 16th, 2018 by 11:59pm.. The curator reserves the right to exclude any piece without explanation *. Image files no larger than 1MB. Images must be labeled Last Name, First Name, Title. (ex. Smith_John_Untitled1.jpg). Submitting artists will be notified by November 21st. 2. All artwork must be original by the artist, and available for purchase. Digital work must be either framed or printed on canvas that has been stretched over a minimum 1” frame, signed, and part of a limited run. No “open ended” prints will be accepted. 3. Size Restrictions: no smaller than 8" any side and no larger than 48" any side, unless approved by the curators. 5. Read rule #4 again. We may reject your work if not properly prepared for installation. Learn how to wire your art HERE. 6. All pieces should be labeled on the back with: Artist’s Name, Title, Date, Medium, Size (including frame), Price, Phone # & Email. 7. Drop-off: Artwork needs to be delivered on Sunday November 25th , 2018 (1p-4p) WITHOUT EXCEPTION. Delivery accepted through Door G entrance. Out of town work must be received no later then November 27th, 2018. Delivery address will be given once accepted. Out of town artists are responsible for all shipping charges. 8. Pick-up: All local artwork MUST be claimed/picked up on Sunday, December 2nd from 4pm-7pm. Burtonesque events is not responsible for work not picked up. All unclaimed work will be considered abandoned, and will not be available for pickup after the date. All out of town work will be on Display in Studio J @ Hardy & Nance through January 6th, 2019 for local viewing . 9. You can sell prints and other items in our consignment area. Same commission as gallery work. Prints of art submitted to the show only. Max/Min 5 per piece. All prints must be carded, sleeved, priced, and labeled with your name and contact info. All other merch must also be packaged, priced, and labeled with artists name/business and contact info. A seperate form must be filled out prior to show. Please request at time of acceptance. • Curators reserve the right not to hang work that isn’t properly wired and/or does not meet the requirements as specified above. • Artist working in 3D media will need to supply a pedestal.